As someone who has a lace tattoo, I love the way it looks on my body, it has a distinct look that's different than your average tattoo. 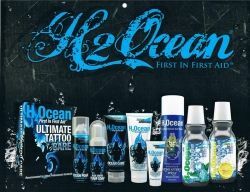 There's a ton of products for tattoo aftercare, each boasting about improving color and longevity of your tattoo. But are they all alike? Which ones work and which are a waste of money? We'll take a look at some of the products out there, the pros and cons of them and how effective they are for different phases of healing. Having used many of these products on myself and for tattoo clients where I work, I have seen them in action and will give you the rundown on what I've found to work best and why. Do I need an aftercare product? Or: "won't this cream work just as well?" Using a typical drugstore cream is a common mistake, many base ingredients ( petroleum, lanolin, alcohol etc) remove ink from the skin & can leave your tattoo looking spotty or faded, or even cause irritation. Choosing a product made to keep your art looking great is a very small investment, considering the cost to fix faded, blurry ink can be as much (or more) than the tattoo cost in the first place. The main difference between these products and the drugstore lot is that they do NOT contain petroleum or lanolin, both known for fading ink. Petroleum-based products are still common due to how cheap & available they are, but there are many better things on the market nowadays and most last a very long time, so not expensive unless your whole body is inked!. 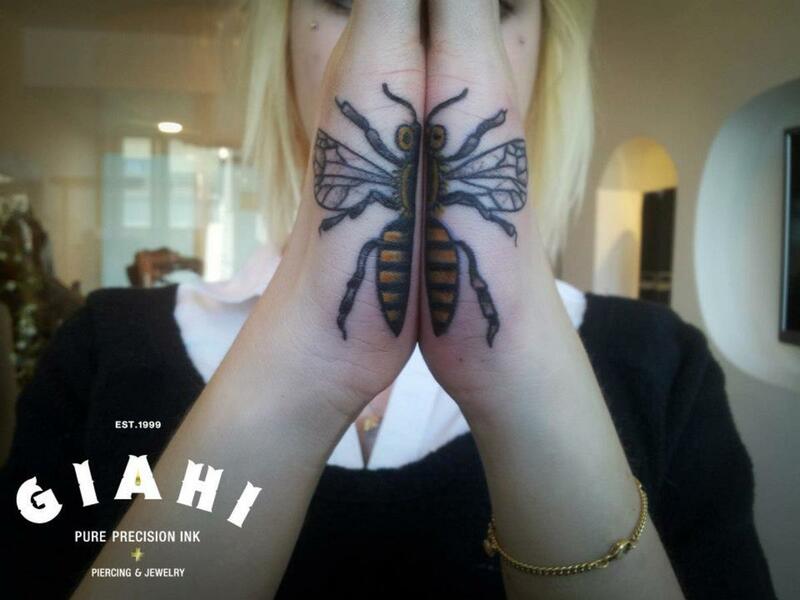 Depending on how fresh your tattoo is, there are a few differences you should be looking for in your products. Healing time is different for everyone, and varies based on body location, style of tattoo & many other factors. I'm not going into detail on aftercare here, there's plenty of info out there on it already. There are basically 4 stages, although when they occur is different for everyone. 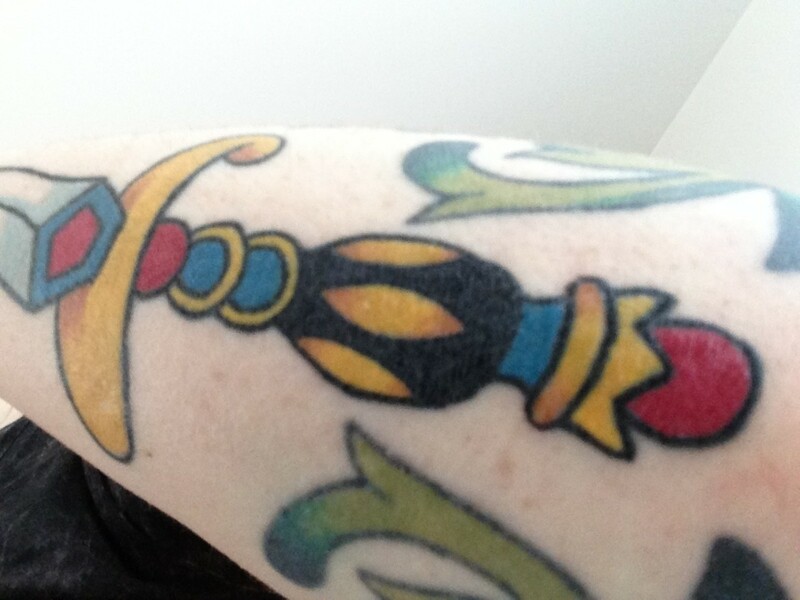 1 - Fresh Tattoo - Right after the ink stops flowing until anywhere from a few days to a week. This is when your tattoo has not yet scabbed up, and it is CRITICAL that you take care of it during this stage and prevent infection. This is the time to use a mild cleansers along with a healing ointment/salve suited to tattoos, but be sure to give your skin time to breathe without products as well. My choices for this phase are H2 Ocean Blue-Green Foam or Black Cat Tattoo Cleanser as a cleanser, and one of the salves to promote healing. 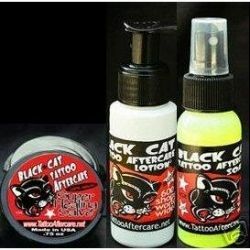 I use Black Cat on black tattoos, Ink Fixx for color. 2 - Healing - Once your tattoo has scabbed up (usually within a week), you can start to look after it in a more everyday fashion. 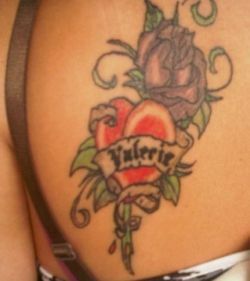 Use a light lotion everyday, or pure vitamin E oil (not the cream, which usually contains stuff not so good for tattoos). If you have drier skin one of the salves or ointments mentioned are ideal, if it's sensitive stick to lotion. 3 - Finished Healing - On the surface your tattoo should be healed within about 4-8 weeks, but the layers of skin underneath take much longer to heal. Using your lotion daily or whenever your skin's dry to keep the skin supple & colors vibrant. 4 - Long Term - In 6 months to a year, your ink will have 'settled' The important thing now is sunscreen & preventing it from getting dried out. 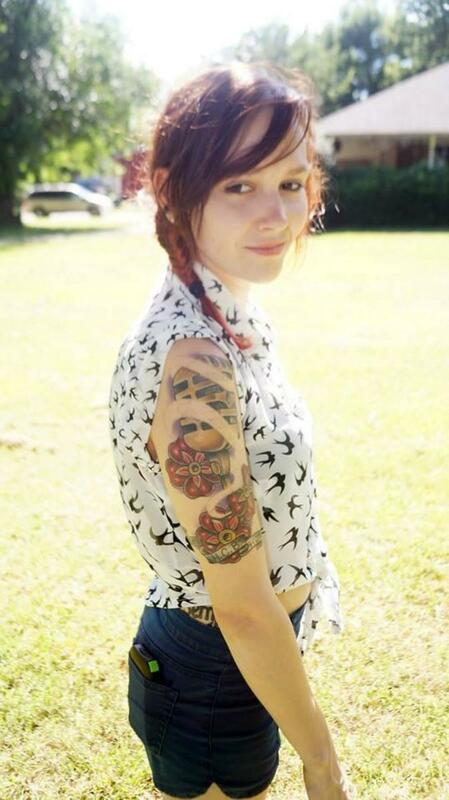 If you don't normally moisturize your skin everyday, having tattoos is a great reason to start! It has a noticeable effect on how vibrant your colors stay in the long term, including black. These guys make an awesome ointment for the early stages of healing, enriched with vitamins & antioxidants in a surprisingly light beeswax base. Contains vitamins A & C, grapeseed oil & seems to promote healing very well. One of my favourite products for the early stages of a tattoo, seems to keep color richer & more vibrant than the others too. I do think their lotion would benefit from the addition of sunscreen, since it is more likely than the ointment to be used long term. But as far as a product for healing, there isn't anything better I've found. 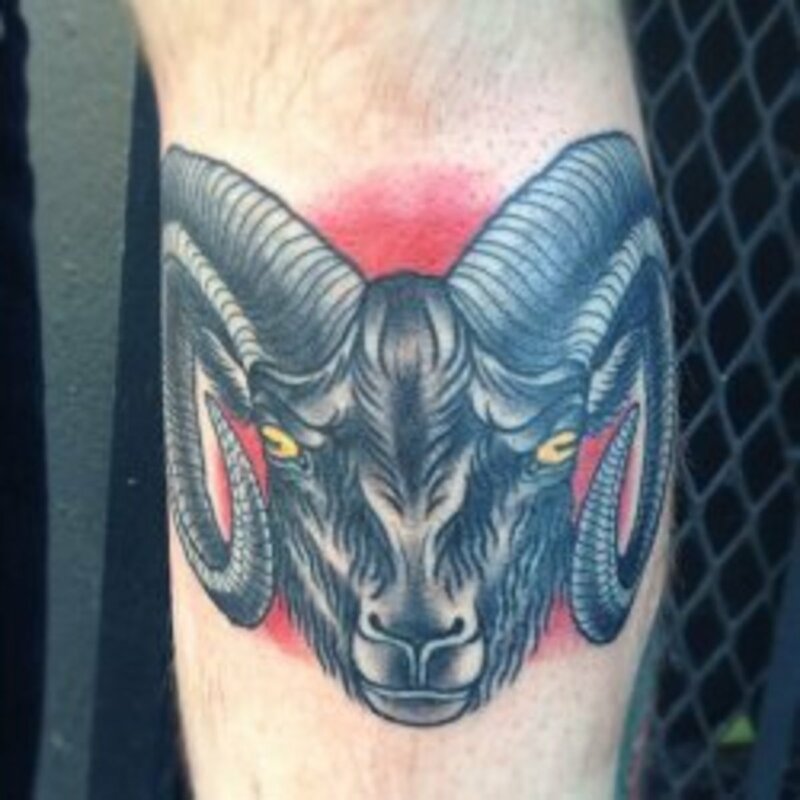 If you happen to have a tattoo shop (or I guess if you buy a lot of ointment!) they will sell you a box of 24 with your shop's logo or artwork on the box too, which is a nice touch. This one is my personal favourite, seems to keep black ink blacker than most! Contains the usual moisturizers & vitamins, but this stuff is a cut above the rest in my opinion. It can be a little hard to find, but if spot some give it a try. They make a salve & lotion as well as a nice gentle cleanser which works well for those first few days of a tattoo's healing; it comes in a handy spray bottle and works well in combination with the salve or lotion. American made & contains Texas beeswax as a base with rosemary & lavender along with soothing calendula oils & vitamin E. Also contains plantain which is very soothing & excellent for tattoos. If you are only able to find it, their salve (or lotion, which is probably the same but a lighter formula) is amazing. They also have a vegan version of their salve, and the ingredients in their entire line are organic, which is nice for you & the planet. What kind of product (if any) do you use on your tattoos? Around since 1998, one of the more established brands; they've graduated from a basic salve to a whole line of goodies, from gentle cleansers for both tattoos and piercings to high SPF sticks perfect for inked outdoor athletes. Their salve is made from olive and wheat germ oils with cocoa butter, it's very moisturizing but one of the heavier products so not as good in my opinion for sensitive skin. The rosemary oil and vitamin E is great to soften skin, plus lavender oil for anti-inflammatory qualities. I've used it on several tattoos of my own & many tattoo clients.Spreads well, smells lovely & keeps skin moisturized for hours. The Tattoo Goo Lotion is better for sensitive skin, it's lighter & uses vitamins A & D to assist healing. Great for large tattoos, like backpieces, where a layer of something heavier can get uncomfortable. I prefer the lotion, but if you have drier skin, the salve might be for you. They make a nice little aftercare kit that has a cleanser, lotion, salve & color-protecting stick---at under $15 it's a pretty decent bargain. The color 'stick' is just a sunscreen with some moisturizers, but a nice bonus...works just as well on black/shaded tattoos. H2Ocean's 'Blue Green Cleansing Foam' is sea-salt based and uses lysozyme to prevent bacterial growth. There's quite a science to this stuff that I don't want to go completely into here (see the video link if you're curious) but suffice it to say every time I have used this product I've found my tattoo less itchy & bothersome that with the others. It is definitely worth seeking out, especially for sensitive skin. They also make a cream called 'Ocean Care' that is wonderfully light but leaves the skin very soft & works well when your tattoo's at that itchy, cracking stage. It works perfectly on large pieces & is very easy to spread around. The only product I'm not fond for daily use is the Aquatat since it is petroleum based. 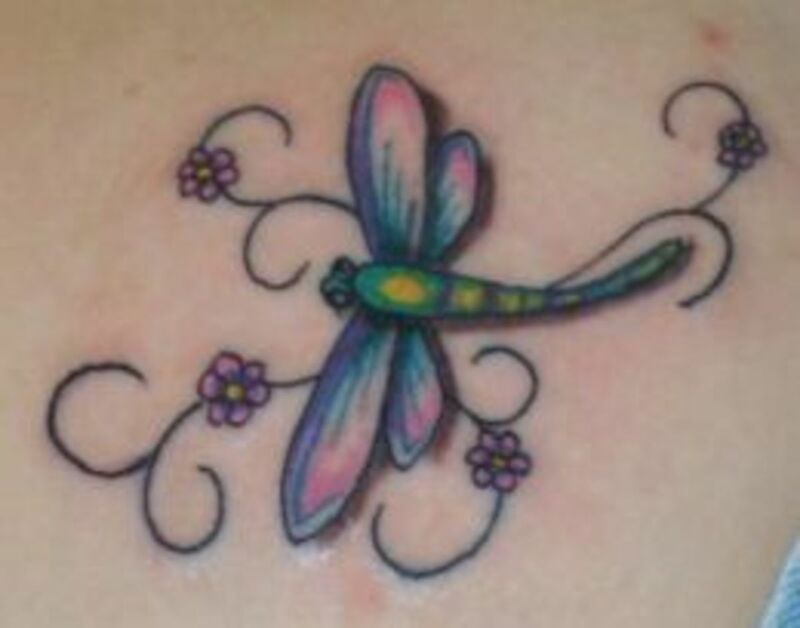 However, once your tattoo is healed there's much less danger of petroleum fading your ink. It is a good product if you are going to be outside or, as the name implies, in the water. 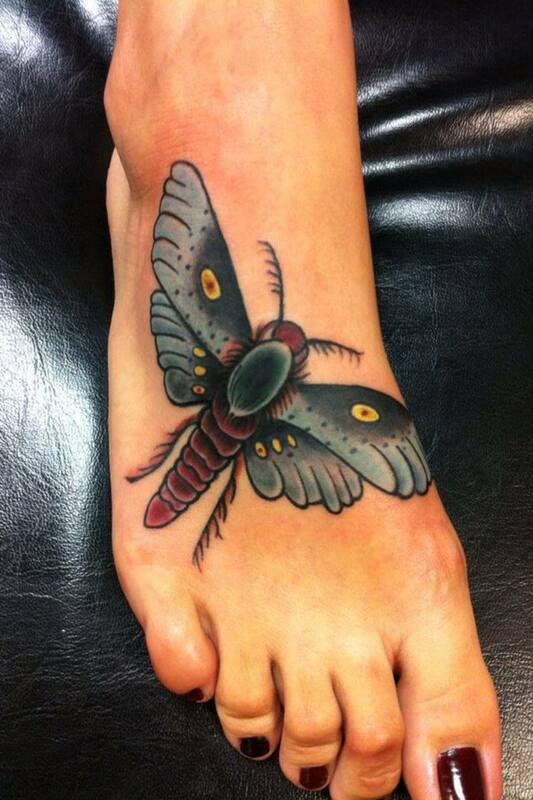 It is designed to be more of a protective barrier for healed tattoos. Be sure to use a sunscreen in addition, and beware if you have sensitive skin because petroleum & lanolin are often causes of irritation and this product has both. The whole line is water based and has the added bonus (Other than the Aquatat cream) of being completely natural & vegan-friendly. Regardless of what you choose, avoid fragrance!. Perfumes are usually alcohol based, which is terribly drying to your skin & fades ink. For sensitive skin, plain water or one of the cleansers listed along with a lotion as opposed to salve is the way to go. The lotions are light, less likely to irritate delicate skin types. 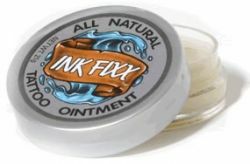 Normal to dry skin will be happiest with a heavier ointment, my choice is Black Cat or Ink Fixx but everybody has their favourites. Tattoo shops sell small packets of the products so you can try a few & decide which your favourite is. I use the salve for everything from scrapes & burns to dry lips, since it is always handy, it's also safe to use on pet cuts and scrapes, my kitties seem to like it. Once you find the product that suits you best, you'll wonder how you got along without it so long. Smoother, more supple skin & enhanced brightness in your ink color are just some of the benefits you'll enjoy. So forget those greasy layers of Vaseline & try on some of the new products for your ink...you'll be glad you did. Hi. I wanted to review of H2Ocean specifically the Aquatat. The directions in the kit (and website) say to use it the first 2 days after getting your tattoo and after each wash with H2Ocean blue green soap. I'm concerned now that my tattoo color is going to fade :-( this is day 2.5 so I am not going to use it anymore and just skip to the Ocean Care skin moisturizing cream. I wish H2Ocean wouldn't promote the Aquatat to use the first two days if its more for if you're outside or in the water. Thanks for your review though. I wish I would have seen it before purchasing. I've used H2Ocean before but this is the first (and last) time for Aquatat.